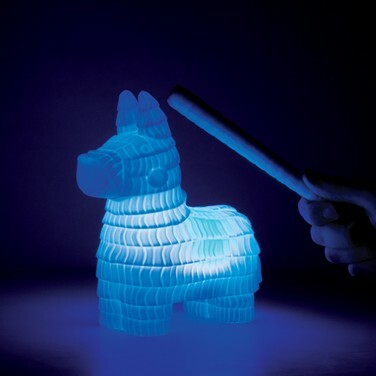 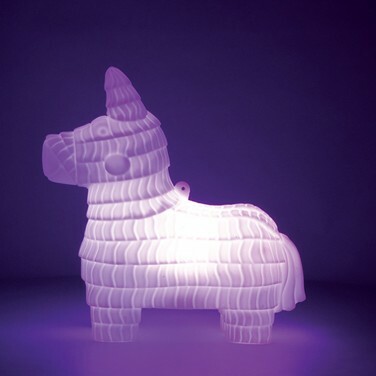 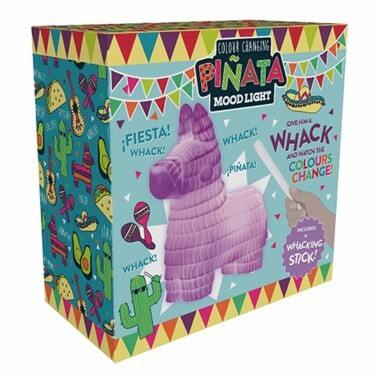 It may not be packed with sweets but this colourful pinata mood light will delight with it's playful colour change light effects! 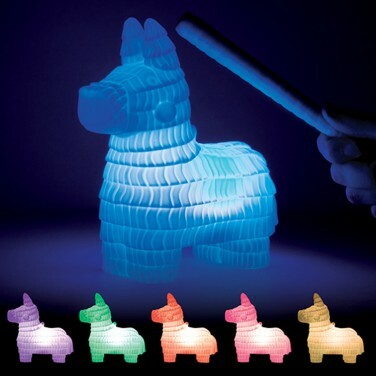 Lit by touch sensitive colour change LEDs, tap, the pinata with it's very own whacking stick (or your fingers) to scroll through static colours or choose colour change effects. 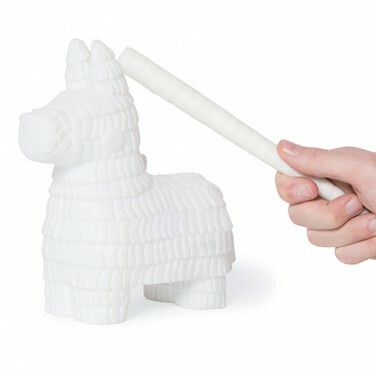 Battery operated and with a hanging hook, this adorable mood light adds character to any room in your home and makes an engaging night light for children.